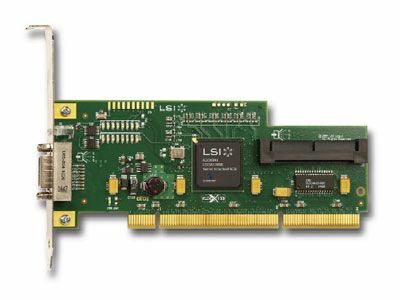 The SAS3442X-R, PCI-X, 8-port 3Gb/s SAS controller supports RAID 0, RAID 1/1E and has 4 internal and 4 external ports and can be connected directly to 8 SAS and/or SATA hard disk drives or as many as 122 when used in systems employing SAS expanders. Requires a PCI-X slot. Each port delivers up to 300 MB/s bandwidth (600 MB/s full duplex) for a combined throughput of as much as 2.4 GB/s (4.8 GB/s full duplex) bringing unparalleled performance to workstations and servers.